We can! 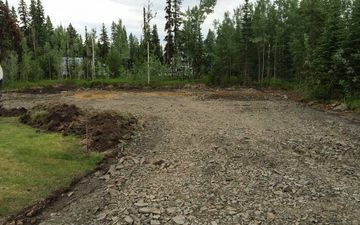 Trust us to excavate your lot before you begin building. 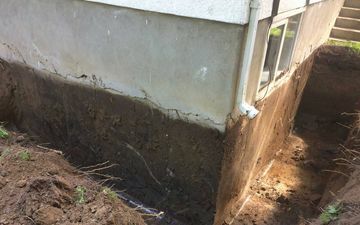 Whether you have drainage problems or a leaky basement, trust Can You Dig It’s excavation services in Prince George, Vanderhoof, Quesnel, Fraser Lake, McBride, and Mackenzie. We service both commercial and residential clients with fully insured work and well-maintained equipment from Bobcats® to dump trucks. Entrust the excavation work you need done to Can You Dig It so that we can bring our years of experience to your project. 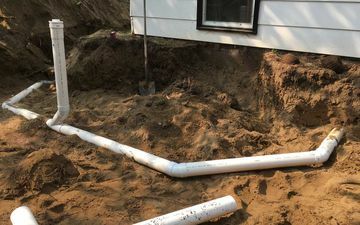 From that pesky leaky basement to full service on your sewer line that seems to be plugged, our wide array of services can help you get your life back to normal with excavation and repairs. 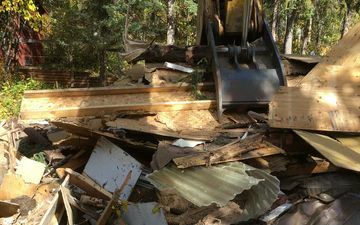 If you are planning on building a house or need to clear a construction site, our demolition team is here to help. 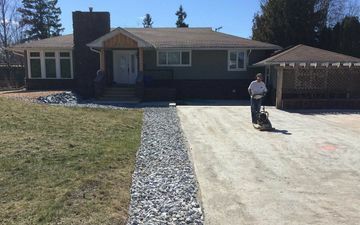 When you need a new driveway or a new road, Can You Dig It can build and pave one for you. Our services don’t stop there! At Can You Dig It, we are also skilled landscapers who can supply sand, gravel, and more to complete the job. When the winter rolls around, we can provide snow removal services to all our residential and commercial clients. Can You Dig It Contracting offers emergency service to all our clients 24 hours a day, 7 days a week. Don’t ever be stuck with a sudden break in your sewer line or be snowed in on Monday morning! Contact us today to book your excavation service anywhere in Prince George and the surrounding areas. We can drain it and fix the hole! Need a Water Line Installed? We can install and repair water lines and sewers. We not only build new driveways but the road leading to it. Is There A Building in Your Way? We demolish existing structures so you have a vacant lot to work with. Ready to Change Your Landscape? We supply topsoil and landscaping aggregate of many types. Don’t Want to Get Snowed In? 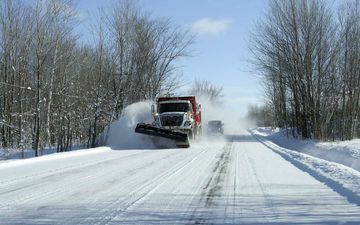 Our snow removal services ensure that you can get the work done.